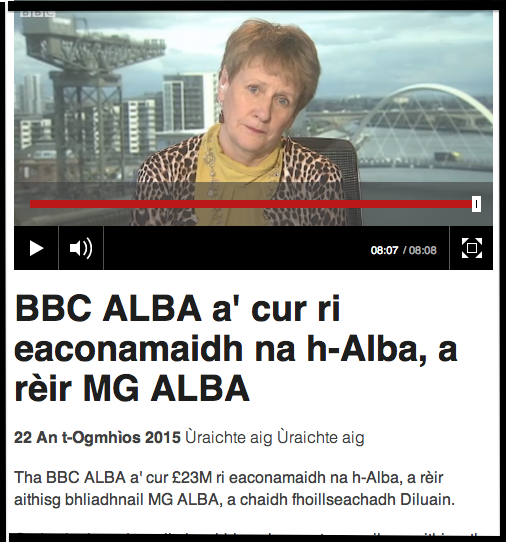 "BBC Alba a' cur ri eaconamaidh na h-Alba, a rèir MG Alba ..."
Ha ha! 'S e an satire as simplidh as mò tha toirt buaidh, nach e? Saoil carson nach do smaoinich Gilleasbuig air a leithid? Fuirich ort … smaoinich!!! 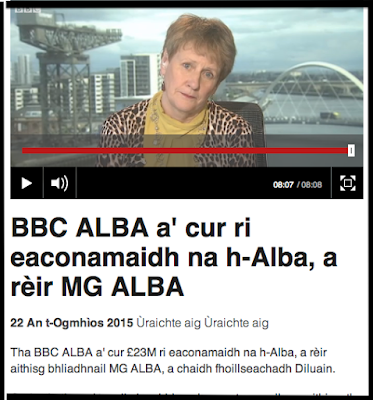 Imitation is the sincerest form of flattery, a mhuinntir BBC Naidheachdan Gàidhlig!